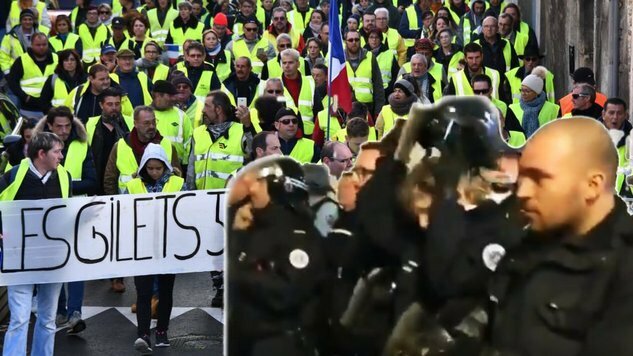 Don't know about you, but I have to say that, at this time, the Yellow Vests is one issue that angers me. Not in the way that you might think though. What actually irritates me greatly (an understatement to say it infuriates me) is hearing/reading the mainstream media and ESPECIALLY the too many ordinary citizens still locked inside their mind programming, looping over a manipulated idea, solidly embedded in rock as Excalibur was. 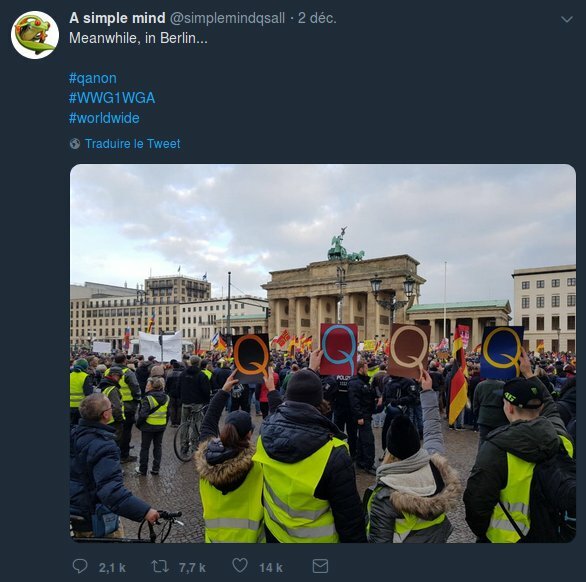 The idea that the Yellow Vests are merely hooligans, that as a result of their actions the economic situation is going to get worse, they'll scare tourists off, they'll ruin the holiday season, and that all things considered, this movement must have been organised by the Far-right, even TerminaTrump to overthrow Rothchild's puppet MaKron Ultra. So much naivety, denial, (stupidity? ), all of these and more amaze me (for a reminder, see Related articles). Do I need to elaborate? I think the article below should suffice as it perfectly reflects my beliefs and more. 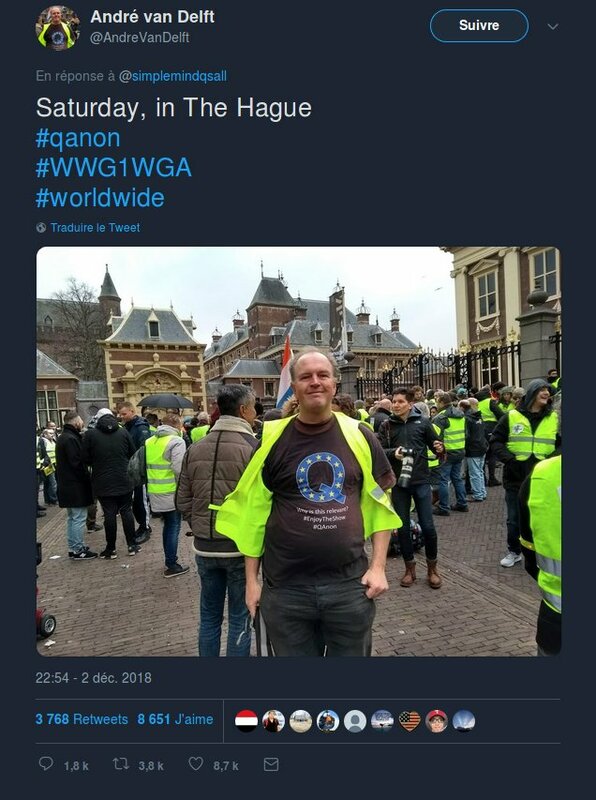 And now, the Yellow Vests are trending in Europe as pictured above. Watch out for "Thought Contagion" as sing Muse! Mass protests, I have come to realize, are very complicated phenomena. They can give rise to a wide swath of interpretations about their purpose and legitimacy. Their initial thrust seems to be fueled by a deep discontent, a reasonable grievance about unjustifiably oppressive activities or policies on the part of the authority. The way in which protests are dealt with often is predicated on how well the authority can convince the general public that the protests are wrong. Now in totalitarian regimes, a brutal and deadly crackdown has historically been the solution (think Tiananmen Square). But in our so-called ‘democratic’ countries, it is not quite as simple. Absent of being able to label protesters as violent radicals who are not behaving in the interests of the nation, the authority may actually have to pay attention to the grievances of the protesters. That’s why a tried-and-true tactic of Western authority has long been to radicalize protests by instructing violent mercenaries to infiltrate the movement and steer demonstrations to run amok in order that the authority can put a violent smear across the entire campaign and legitimize a police crackdown. But what happens if the police side with the protesters?